Dancing in public places has taught me a lot. Some people really see you and some people don't. Some people smile and some people give you weird looks. My own confidence and fears get tested. My comfort zone gets shattered. Why go through all of that? For me, it’s for connection. On Tuesday night, Valentine’s Day, I decided I would wear my DANCE WITH ME sign out in public and station myself somewhere to see if anyone wanted to dance. As I took the subway and walked over to my location wearing the sign, life felt different. I danced with a drummer in the subway corridor. I danced with 2 former ballerinas for much of the night. They stuck around for awhile and I loved the image of their once obedient ballet days, now flying freely on the streets of Brooklyn. I felt awake and alive and felt others get into that zone, too. At times I also felt totally self-conscious, by the way. Imagining the people who were judging me and what their thoughts were. But the thought of even just one person walking home alone on Valentine’s Day night, feeling depressed and wanting to escape, imagining THAT person feeling their load lightened as they passed by a random dance party happening outside the subway station… that was enough reason to keep going. Connection. I know there's a lot else we can and should be doing during these trying times, but along the way, we might as well dance with each other. Don’t forget you have the power to make a difference. Basic human kindness and connection is so powerful. 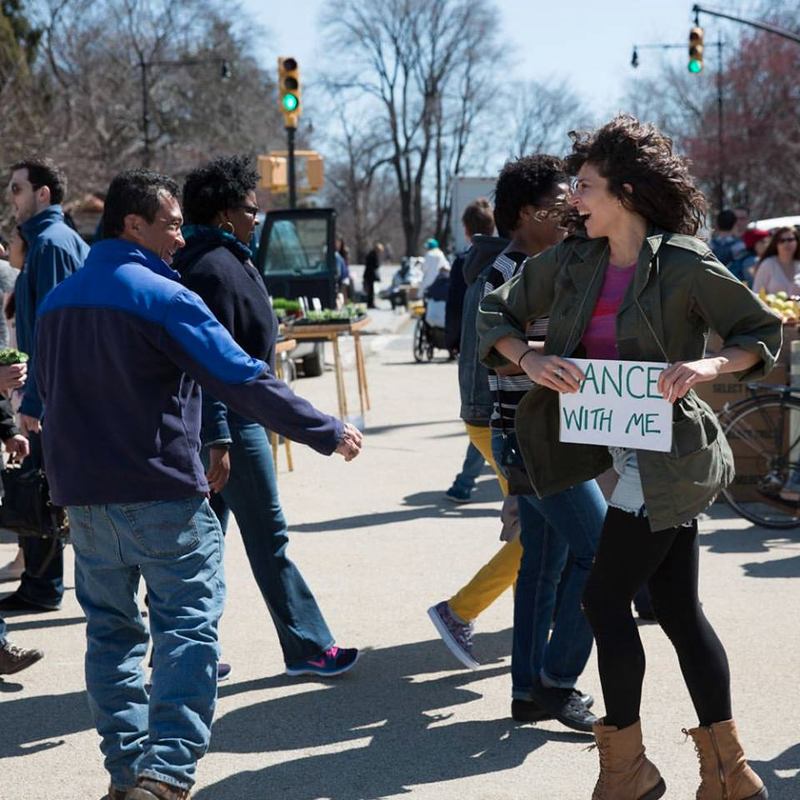 You might not feel compelled to dance on the streets, and that’s totally ok. You can dance in YOUR way. Be a force of light and warmth amidst the dark, cold world. Especially in February, which tends to be the darkest, toughest month. If you’re craving some connection, I got you! Below are a few upcoming ways - both online and in NYC - to join me in a dance revolution.